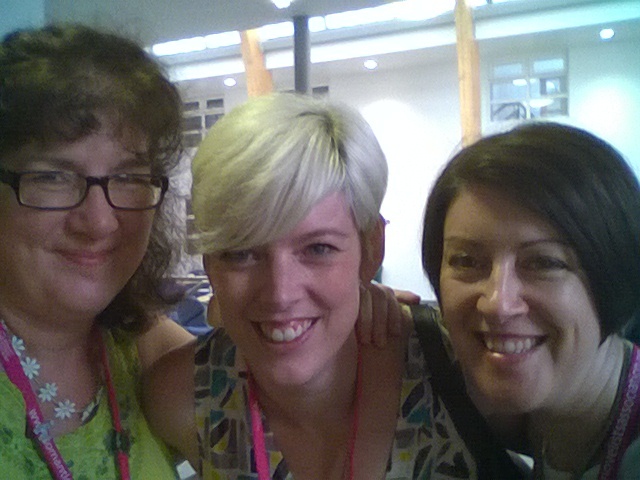 A post about my recent talk at the Romantic Novelists’ Association annual conference. 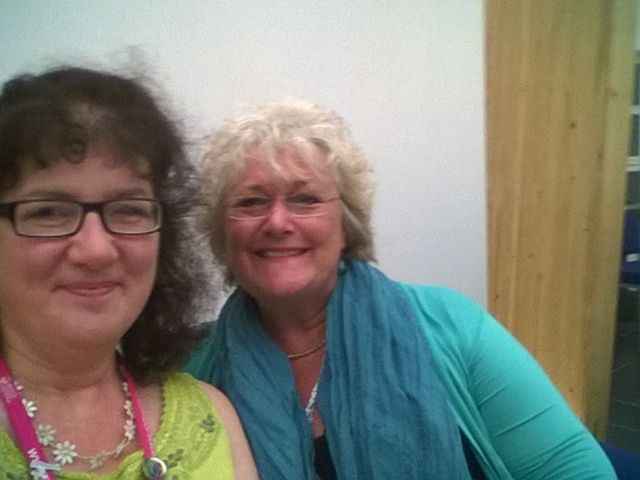 A couple of weekends ago, I had what you might call a novel experience: I went to give a talk to the Romantic Novelists’ Association. With oodles of hugely popular titles to her credit, Katie is the current President of the Romantic Novelists’ Association. The panel’s wide-ranging conversation touched on the subject of self-publishing, for which I’m an enthusiastic advocate. 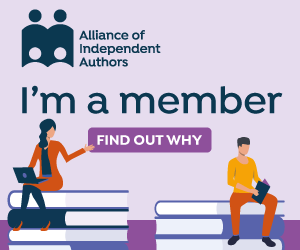 Afterwards Katie suggested I speak at the RNA’s annual conference to give them the low-down on what self-publishing has to offer romantic novelists and to explain how the Alliance of Independent Authors, of which I’m a member, could offer them. Fast forward to 13th July, and there I was, addressing the RNA’s members in a lecture theatre that took me back to my university days. The setting was no ordinary university (not that I’d call my alma mater, the University of York, ordinary), but Harper Adams University. So far, so romantic, you might think – until I checked out the lunch menu and discovered that we were eating the animals raised by the farm. I dare not confess to my vegetarian daughter that the catering, by the way, was excellent. My brief was to speak to the title “You Need Never Walk Alone”, identifying the misnomer that is the world of self-publishing: a more caring, sharing community than I’ve ever had the pleasure to work with before. My speech explained to them that the “self” in self-publishing was misplaced, because these days, any indie author worth reading employs professional-level tactics to ensure their books are the best they can be, from having their covers designed by a specialist to engaging editors and proofreaders on a par with those used by traditional publishing houses (very often the same people, in fact, operating as freelances). I was unsure what to expect when I agreed to speak. Would the room be filled with women of a certain age in floral frocks? Would they lob rotten tomatoes at me for daring to speak of authors acting as their own publishers? 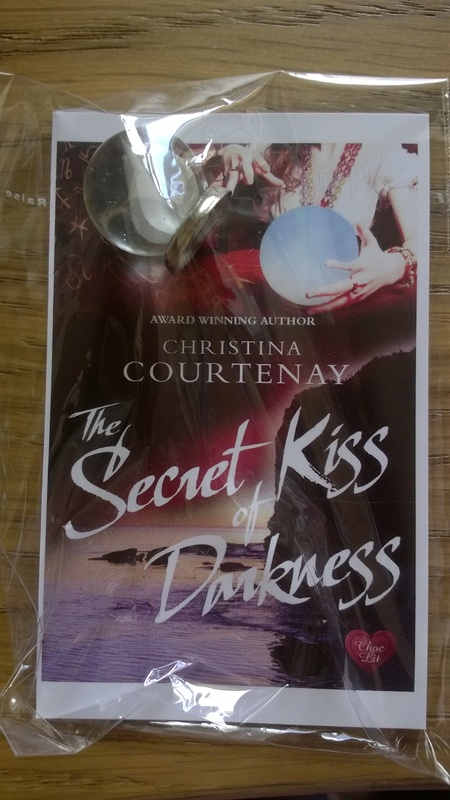 My favourites were, by chance, two items promoting books by the RNA’s current chairman, Christina Courtenay: a tiny bookmark in the shape of a fan (book title: The Gilded Fan), which was actively useful on that very hot weekend, and an ingenious dolls’-house sized crystal ball (in fact a glass marble stuck to a silver ring), as featured on the cover of The Secret Kiss of Darkness.The latter now has pride of place in my daughter’s dolls’ house. I may only have been at the conference for the last day (it ran Friday to Sunday), but I enjoyed it so much that I’m rather hoping I’ll be invited back next year. It was almost enough to make me want to write a romantic novel – something that hadn’t as yet been on my to-do list. 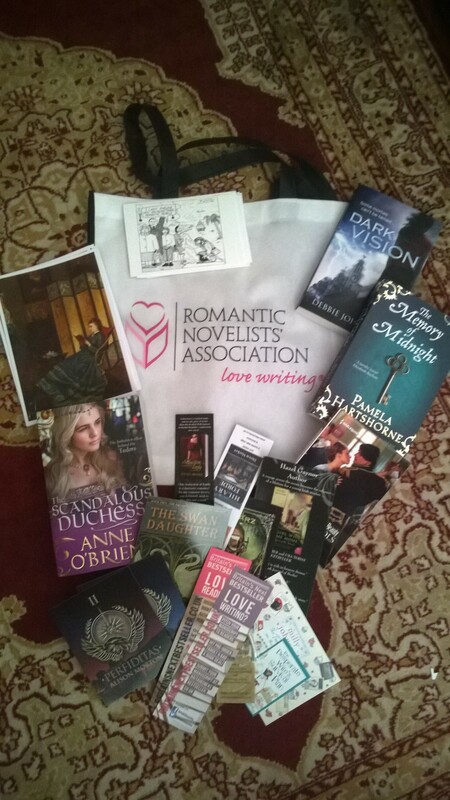 But, as my author friend Orna Ross said to me the other day, “Never say never.” And if I ever do, it won’t just be because of the goody bag, honest. Or follow them on Twitter at @RNATweets. NB The RNA doesn’t yet admit self-published authors other than as associate members, but they’re actively reviewing that situation, which is greatly to their credit. 🙂 Sounds fun …. 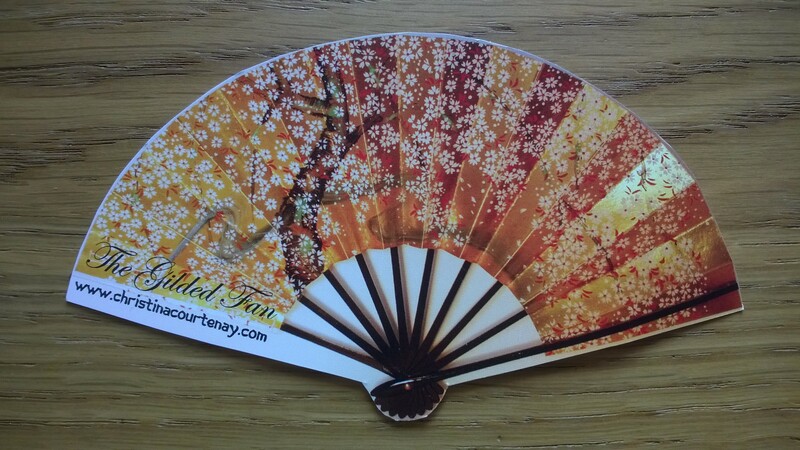 and some original ideas for promotional materials … may they let us in, soon as full members! Lovely post, Debbie, and thank you for the mentions. 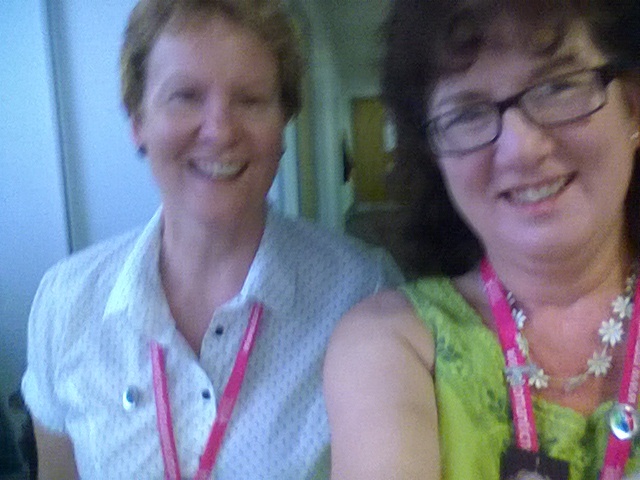 I’m so pleased you enjoy the RNA ‘main event’ and I think delegates were quite curious about you, too! Many RNA members already self-publish, be it backlist or as new authors on a different publishing route. 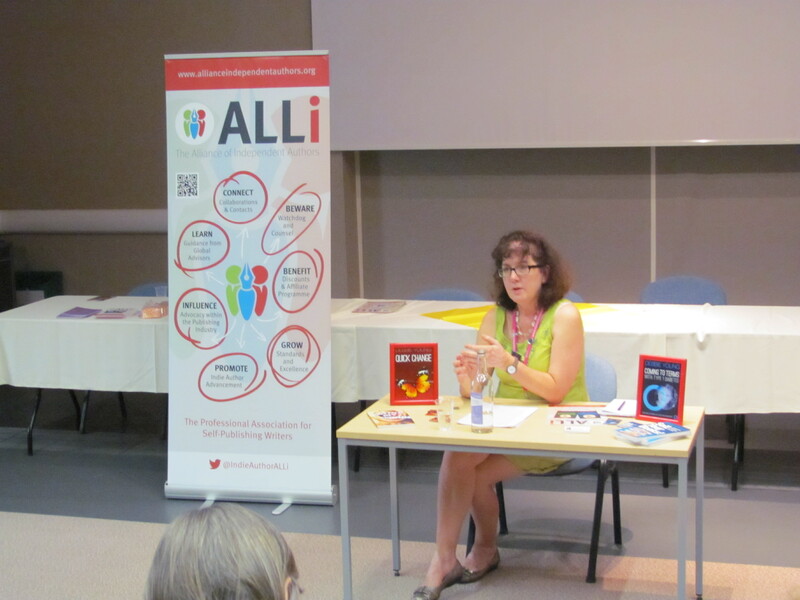 The RNA and ALLi share a goal – to make the books their members produce the very best they can be and to uphold and improve standards of writing and books produced for the reader. Oh, and I ate my biscuits on the train! Thanks, Alison. The event made me realise how similar in spirit the ALLi and RNA communities are, even without taking the self-publishing activity into account! Jan, what a kind gift and a great connection! Too bad my daughter has already eaten that evidence too, or else I’d add in a photo of them now!Thank you so much for all your hospitality and help, and congratulations on your huge efficiency in running such a great event. Thanks, Debbie. I do it for love of the RNA. 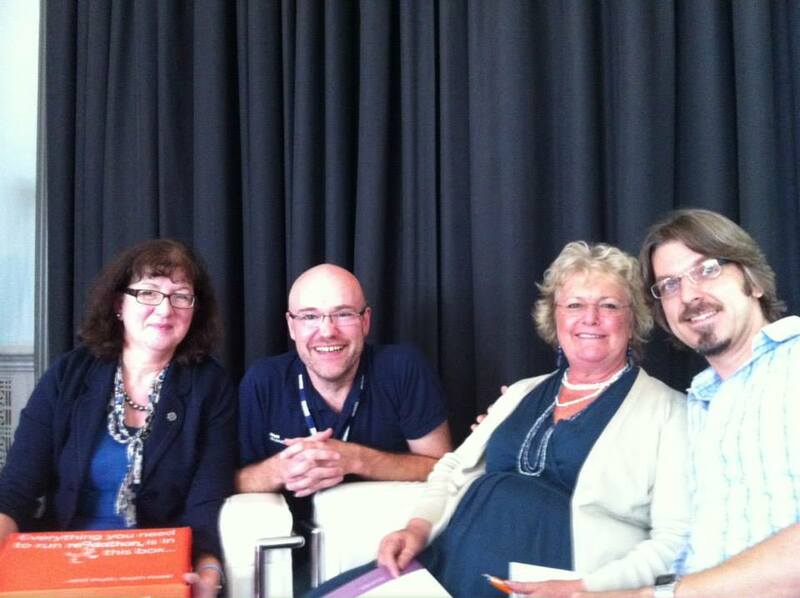 A friendlier, more supportive bunch of writers it would be difficult to find!